Out: Watching The Big Game for the commercials. In: Watching The Big Game for the social media hot takes, and one platform isn’t waiting for kickoff. Because you're young and cool, you already know this, but explain to your parents that TikTok's a social media app where users post short videos incorporating music, memes, and comedy thanks to easy editing tools with cool filters and effects. And since it wouldn't be social media without trending hashtags, they've got that too. Their latest is the #GOLONG challenge, where users are posting clips of their unique and funny interpretations of how to “Go long.” Whether it’s for a football pass from a buddy that spans several states or diving for the last soda -- what you do with the concept is up to you, and the competition is going to be fiercer than America’s big game on Sunday. 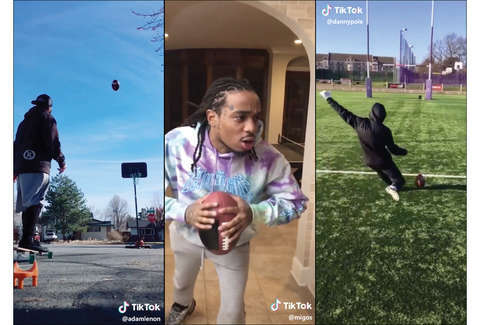 Here are the best results we’ve been able to dig up so far from TikTok's #GOLONG challenge.